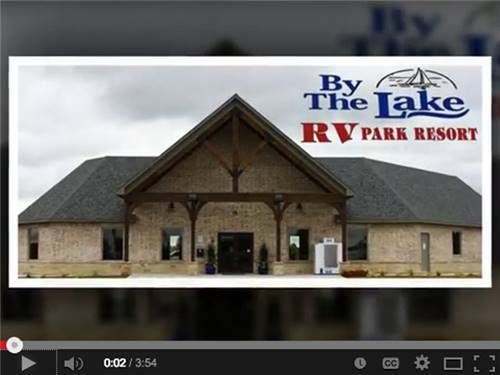 Stop by for an overnight stay or a weekend getaway at Oklahoma's newest RV Resort. Experience great fun at Lake Murray, golf courses, and casinos. And don't forget our unique dog park, game room, and scenic fishing pond. This was 4th time to park, very nice place this time we took our dogs, has very large park for dogs . Office staff was friendly and helpful. There is no trees yet so shade isn't there yet. Would not hesitate to come back again. Blazing Wifi! We enjoyed our stay at this park in October 2017. It is a new park so there are pluses and minuses. First the negative - the trees have not yet grown up, but once they do it will be lovely. Right now it appears to be a parking lot when seen from the main road, but looks can be deceiving. The layout is awesome! They have enough turning radius for the largest of rigs, even with toads. The sites are far enough apart that you can open your slides without worrying about covering a neighbors picnic table. Nearly every site is pull-thru with level concrete pads. Water pressure and power were never an issue, despite being in a rural area. The restrooms are clean, brand new and spacious. The staff was super friendly and helpful. But the best part was the Wifi. Even with a fairly full campground everyone was streaming video without buffering. We will be staying there again! This place is the bomb diggity!!! Immaculate beautiful grounds, quiet, pet area is extremely safe to let your fur babies exercise and potty. Showers, laundry room and restrooms in stand alone building if you need it. We pulled in, hooked up and had dinner outside at the clean picnic table right outside our door. I would highly recommend this resort. We stayed here twice now, once over Memorial weekend and again 2 weeks later. It is nice to have a large dog park for the dogs to play at. The kids loved the pool and the playground. Everything is well kept and clean. All of the staff is very friendly. They had a special things going on over Memorial weekend for the kids. My son caught his first fish at the little lake, but it is the only fish we caught and the only one we have seen caught there. Steps or a bridge from the campground area to the playground and pool would be a nice addition. We will be returning here for sure. 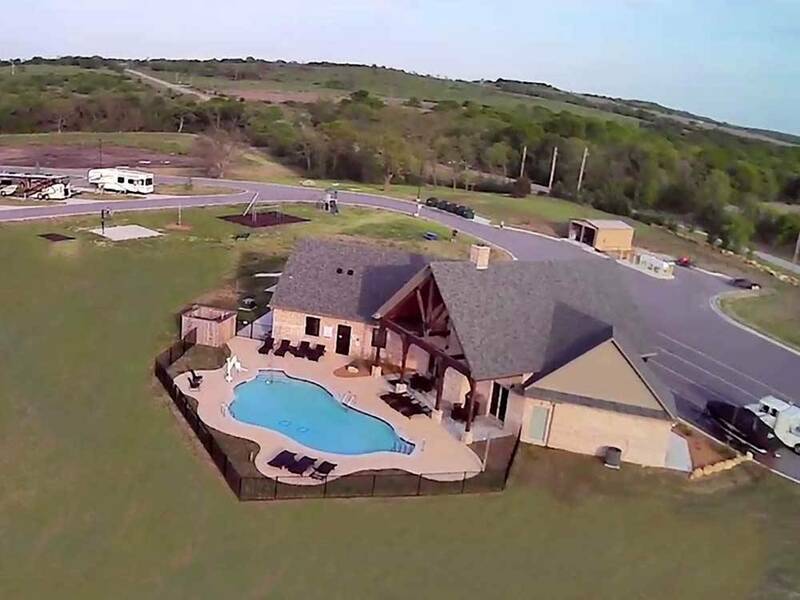 very nice facility, exceptional dog park, friendly hosts. park is new and is being well maintained. arrived monday afternoon after a busy holiday weekend and the park was pristene. returned the following week with the same experieince. had a nice paved, level pull thru spot near the dog park and bath/laundry. viewed deer and coyote at different times in distance. Very clean and well maintained park. Highly recommend it to anyone. We stayed here for two nights in May,2017. The park is beautiful. There is a nice dog park if you are traveling with furry family members. The sites are mostly pull thru sites. It just so happened that we were caught in a tornado warning and severe thunder storm during our stay. I'm so glad this property had a storm shelter. The staff was amazing and they have employees that live onsite. We arrived and received a nice schedule of activities for the family like arts and crafts and an all day pool party and hot dog roast. We cant wait to visit again. 2nd stay was great just like last one. This time we had our club down. Park has great layout, very clean, would recommend this park and will be back. There is trains nearby you hear some, but did not bother us. Worth the trip to stay at this park. We stopped at By the Lake to and from Houston. The park is brand new with concrete pads and a large dog park. The bathrooms and showers are very, very nice. The laundry is more than adequate. There aren't too many campers here but it is March! The park is very easy to get to and it's very easy to find your assigned site. The people at the front desk are extremely helpful and very nice. Since it is such a new park there are not mature trees but in a few years shade will be here! The pool is very pretty but it was too cold to swim in March. We will definitely return when traveling south! This was our first RV Trip Park, had a great time. Newer park, not many people, weekend trip. The Park was excellent, clean, and very easy to get to, huge dog run, our dogs loved it. The mangers/staff were helpful, friendly. Yes, we will be back, and recommend this park to others. Awesome! Friendly, attentive owners/staff. Impressive check-in lodge, Pool. Fenced dog run -- large! Concrete pull-thru with grass, trees planted for shade. Stocked lake on site and close to state park. Will stay here again and encourage you to make your reservations now. This place will be THE PLACE to get into in a couple years -- become familiar with it NOW. We SO enjoyed our stay. Thank you! 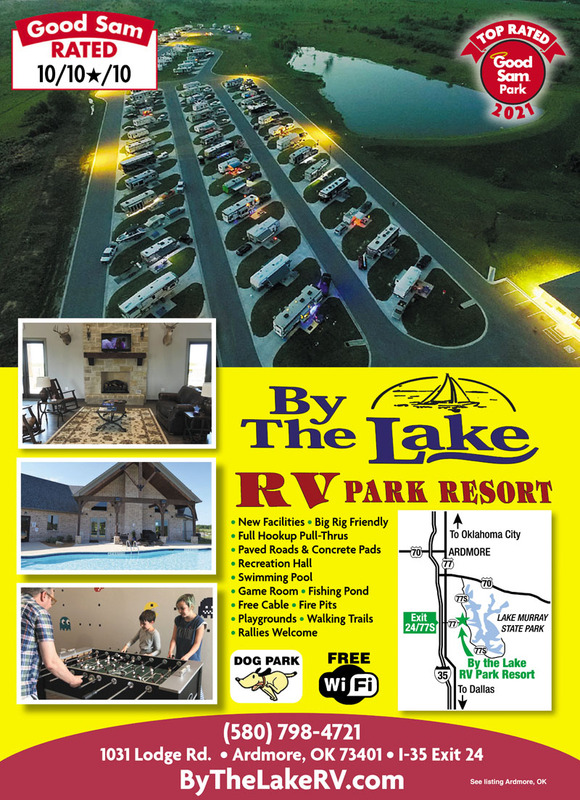 This a great rv park, very nice layout, has asphalt roads with concrete pads with patios and tables. New park, not much shade yet as they have new trees planted. Things for kids, loved the game room. Have pool, fishing pond. Bathrooms are awesome, very nice tiled showers. On site mangers were GREAT, very helpful and friendly. Was easy to find off I-35 and exit # 24. Some trains nearby, but would not stop us from returning. Good Wi-Fi and cable. Nice dog park very large surrounded by 6ft fence. Would recommend this park in heartbeat. This RV resort is excellent. We stayed for 3 nights. It is very easy to get to - both the park & individual site. Great signage on the interstate & to the RV resort. Exceptionally clean and well kept. Entire staff is helpful & friendly from reservation to checkout. We didn't have children or pets with us, but this is a good place to bring both. We will stay here again when in the area. Beautiful Lake Murray is only 1 1/2 miles away. Welcome to the most beautiful lake in Oklahoma, known for its crystal clear spring fed waters. A paradise for fishing and water sports. Lake Murray has a marina, boat rentals, swim beaches. Visit Nature Center/Tucker Tower.